FILL a medium-sized pan with water and bring to a boil. PEEL and rinse the potatoes and chop them into slices, not too big because they have to fit inside of the zucchini. COOK the potato slices until they’re soft, exact time depends on the thickness of the slices. PEEL and finely chop the shallots and garlic cloves. 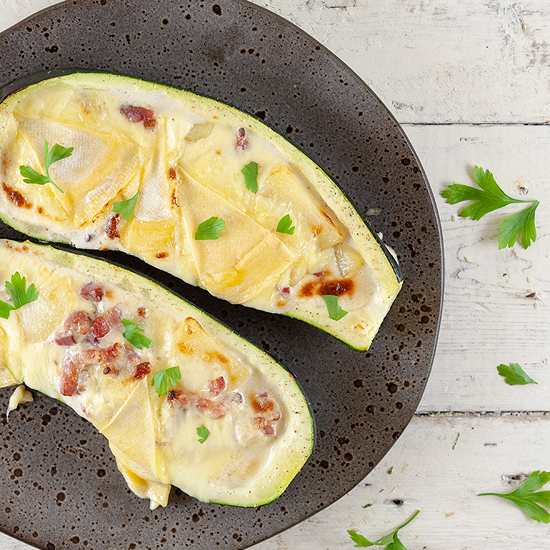 DIVIDE the zucchini into halves and remove the inside with a spoon. DRIZZLE with olive oil, pepper and salt. ROAST them in the oven for about 10 minutes. Meanwhile CREATE the filling. COOK the bacon in a large skillet for a few minutes and then also add the garlic and shallots. ADD cream and bring to a boil. DRAIN the potato slices and also add them to the large skillet. 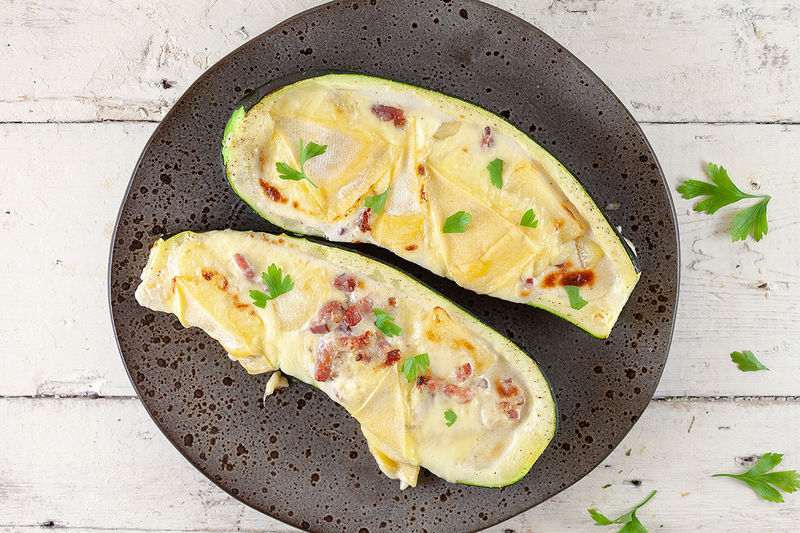 SEASON the filling with pepper and salt and DIVIDE over the zucchini boats. 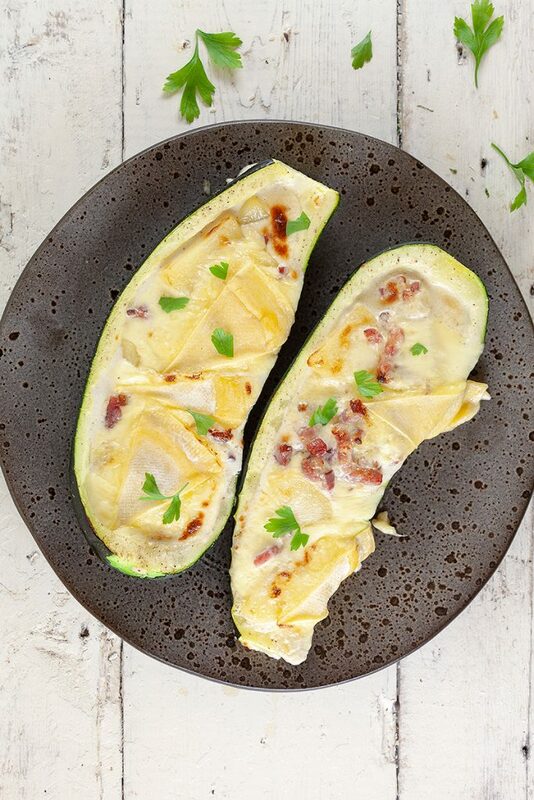 DIVIDE the cheese into slices and also divide over the zucchini boats. 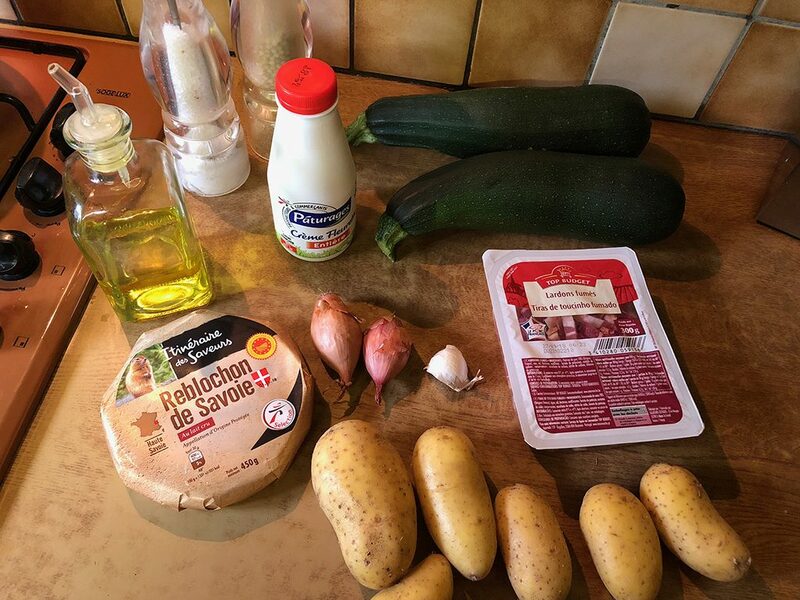 BAKE the tartiflette in the oven for another 10 minutes, or until the cheese is melted. Enjoy!